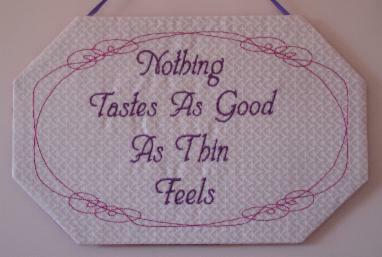 Items For Sale - The Joyous Quilter - Quilts and Patterns For Sale, Commissioned Quilts, Quilt Gallery, Quilting Tips & Tricks, Quilting Green and more! 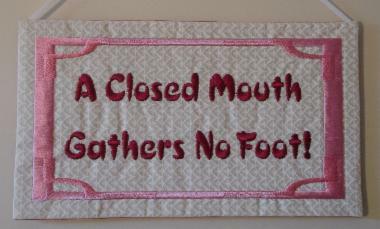 For years I've collected daft, humorous and sometimes wise sayings. 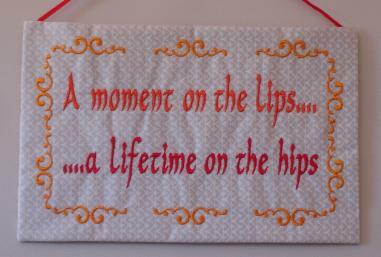 I recently figured out a creative outlet for them using my fabulous Viking embroidery machine, and FabriWit and FabriWisdom were born! 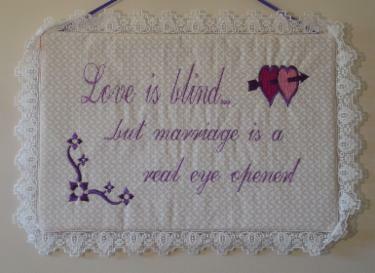 Love is blind....but marriage is a real eye opener! 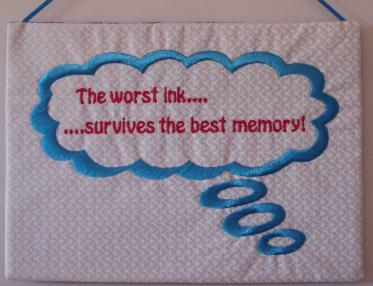 The worst ink....survives the best memory! 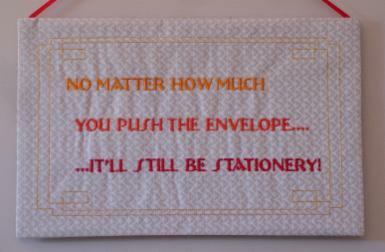 No matter how much you push the envelope, it'll still be stationery! If you would like to purchase a FabriWit or FabriWisdom, please copy the code shown below the one you'd like (in capitals) into an email and send to joyousquilter@gmail.com and she will contact you to arrange delivery. Design Your Own FabriWit or FabriWisdom! If you have a favorite saying or witticism that you would like made into FabriWit or FabriWisdom, I would be happy to do this for you. 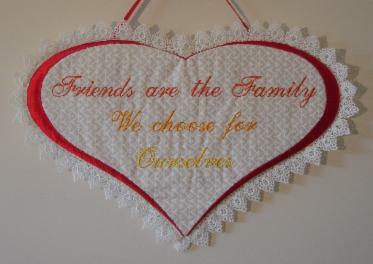 I can also embroider onto fabrics of any other color to match your decor, although the fabric print would need to allow the message to be visible, so nothing too busy. 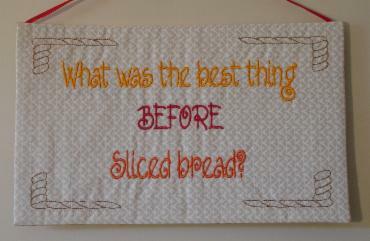 I would use a contrasting thread so that the message shows up. 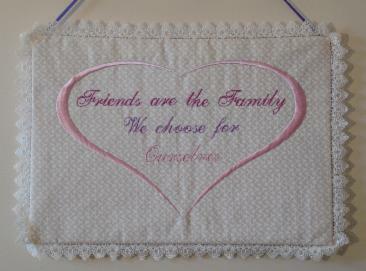 I use a matching satin ribbon by which to hang each message.